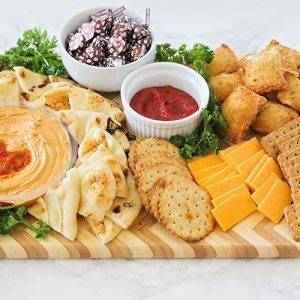 This kid friendly appetizer board is so easy to put together, and even easier to eat! Arrange warmed foods on the tray with the sauces for dipping. Add a bowl of candy for a touch of sweetness. Decorate with sprigs of parsley to make it festive and colorful.